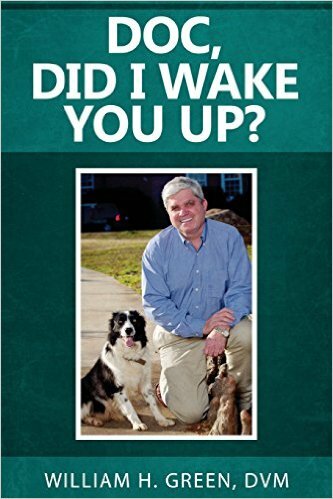 Dr. William H. Green, ’72, recently wrote and published a book titled “Doc, Did I Wake you Up?” detailing the daily life of a rural veterinarian. In his book, Dr. Green tells stories about pets, their owners and other unique characters that he encountered during his years of veterinary practice. His book was published by Tate Publishing and is available in many stores. Dr. Green said he hoped that people who read this book will come away with a greater appreciation of the veterinary profession in general and be able to realize the challenges and rewards of a rural veterinarian, as he dealt with so many different and unique people and animals. Dr. Green was also recently appointed as Director of School of Agricultural Sciences and Forestry at Louisiana Tech University. Dr. Green has taken the reins of the newly-formed School, which is part of Louisiana Tech’s College of Applied and Natural Sciences.